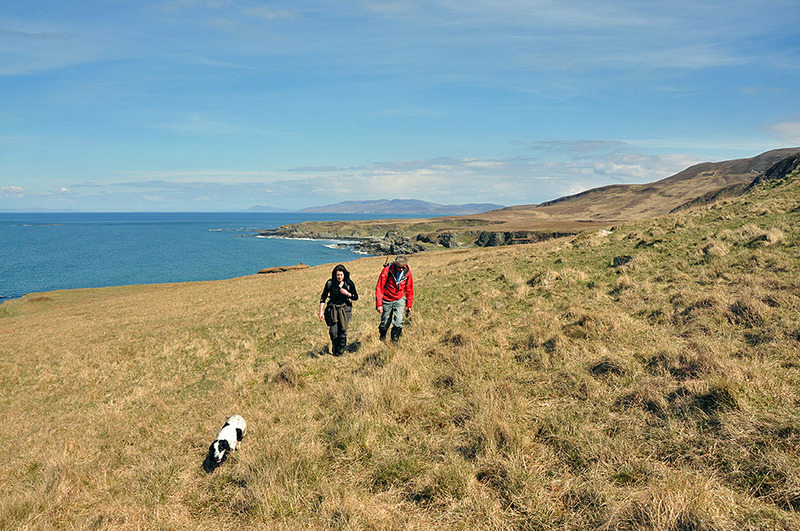 Two walkers and a dog on their way west on the north coast of Islay. I think some of the best walking on Islay is along the north coast, the views along the raised beaches are beautiful. This entry was posted in Landscape, New Post, Sunny Weather and tagged Islay, Jura, raised beaches by Armin Grewe. Bookmark the permalink. ‘I think some of the best walking on Islay is along the north coast’. I think you’re absolutely right! I also love that pic of the group of walkers heading east along the raised beaches near Mala Bholsa.